Computer Posture Chair Stocked in Wine, Gray, Navy, Black, Taupe! Order Larger Quantity for Better Savings! 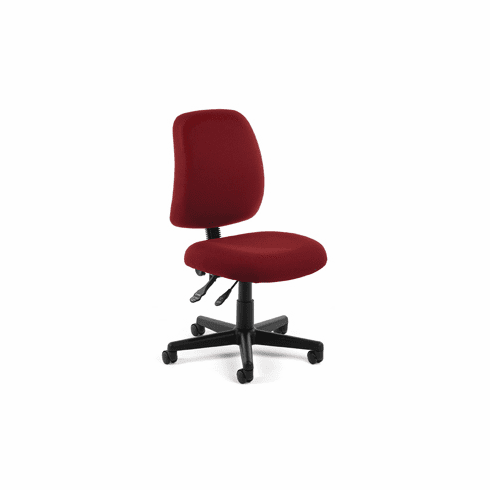 Our Computer Posture Chair is designed for keyboard and desk use. 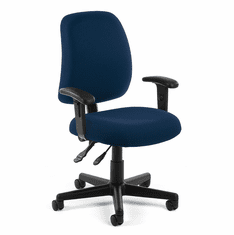 Comfort features include a gas lift height adjustment and height/angle adjustable back rest. This office chair has been an all-time best seller. Seat is 19-1/2"W x 19"D. Back is 18-1/2"W x 21"H. Seat height: 18" - 22". Measures 19"W x 24"D x 37" - 41"H overall. Shpg. wt. 29 lbs. PRICE INCLUDES SHIPPING! IN STOCK! Copyright © 2019 Modern Office. All rights reserved.